There are a multitude of reasons that the branded residence sector has grown so rapidly in the last two decades. 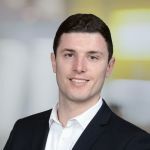 Brand association instils buyer confidence, and is especially attractive to globally-mobile, time-poor individuals seeking a high service offer, hassle-free ownership and prospect of rental returns when not in occupancy. 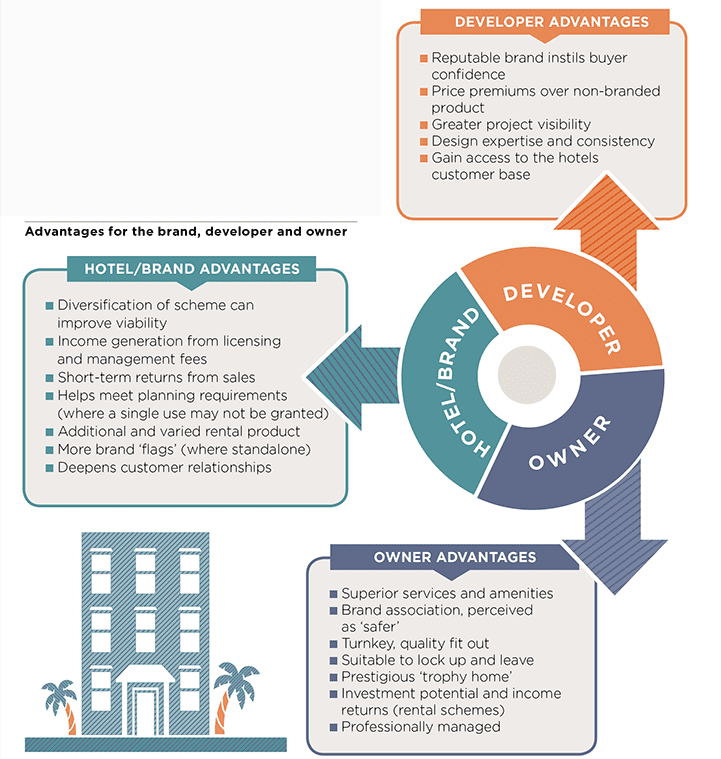 Hoteliers benefit from diversified schemes and additional income streams, while deepening their relationship with their customers. For developers, a brand brings profile, and may also lead to price premiums (see The branded residence price premium). The main advantages for brands, developers and owners are summarised below. ■ Marketing License Fee (also known as ‘Royalty Fee’): 2%-5% depending on operator and brand. Paid by the developer. ■ Management Fee (if residences are managed by the hotel operator) an annual charge paid by the owner for having the brand on their residence, and access to the operator’s services, concierge etc, or Trademark License Fee (if residences are franchised by the hotel operator) paid by the owner for having the brand on their residence, collected by the property manager. Owners of branded residences are also required to pay annual fees (sometimes called ‘Homeowners’ Association Fees’, ‘Community Expenses’ or ‘Service Charges’) to cover the service and maintenance of common areas on the development and are directly proportionate to unit size or purchase price. 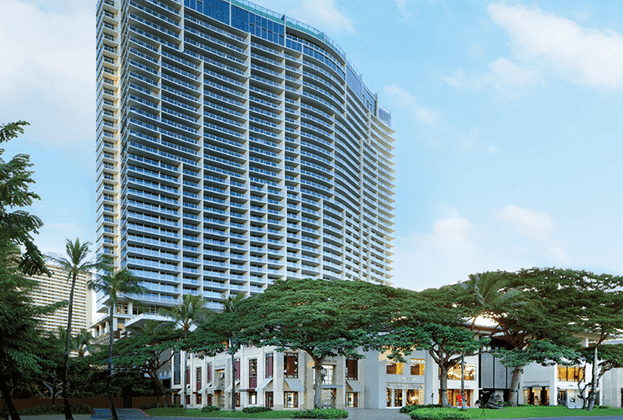 Homeowners’ Association Fees vary depending on the location, hotel brand as well as the services included, but usually equate to between 0.5% and 2% of the purchase price, per annum. 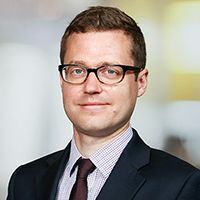 It is important that annual service charges do not exceed this, as excessive charges have shown to damage saleability, regardless of price point. Developers and operators should aim to keep them as low as possible whilst maintaining expected high standards of service and quality. Unit types and sizes vary depending on scheme location, although smaller units (studios or one bedroom) are not usually delivered in resort locations to avoid cannibalising the hotel’s own offer. Development costs are higher than on a non-branded scheme, given best-in-market interior specification and extensive communal areas and facilities. Furniture, Fixtures & Equipment (FF&E) packages are mandatory if a buyer wishes to enter their property into the managed rental scheme. 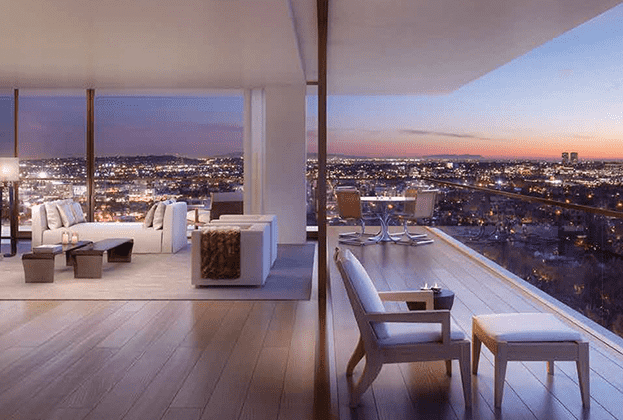 Branded residences often offer exceptional levels of service and amenities. ‘Base services’ (included in service charges) comprise concierge and the use of hotel amenities (if affiliated to one), or dedicated amenities. ‘On-demand’ services, at additional cost, range from housekeeping to pet services (see below). Elevated status in hotel loyalty programmes is another major selling point, granting the holder access to free or discounted stays across the hotel’s network. We estimate there are more than 400 branded residential schemes globally, with a combined stock of approximately 55,000 residential units. 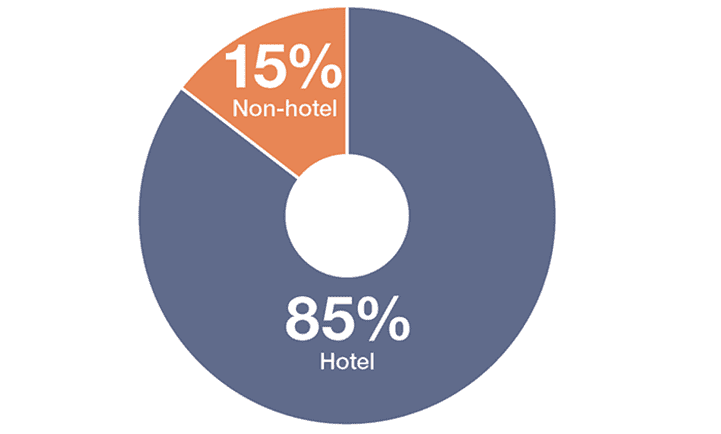 The sector is dominated by hotel brands, which account for 85% of schemes. There are 40 major hotel operators active, with 65 individual brands between them. 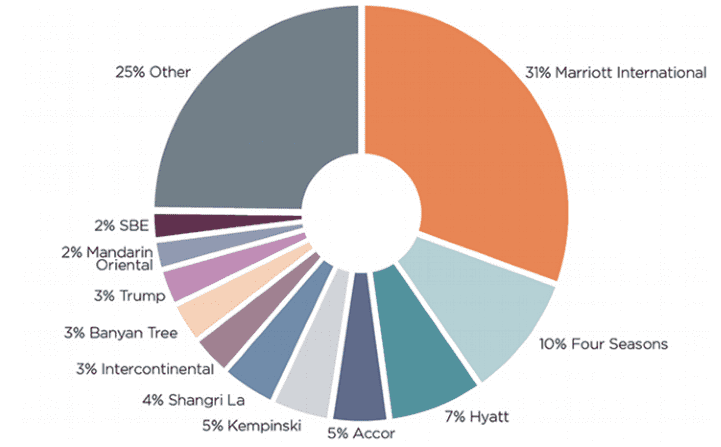 Following its purchase of Starwood in 2016, Marriott International is by far the largest single player, with a market share of 31% among hoteliers by number of schemes. 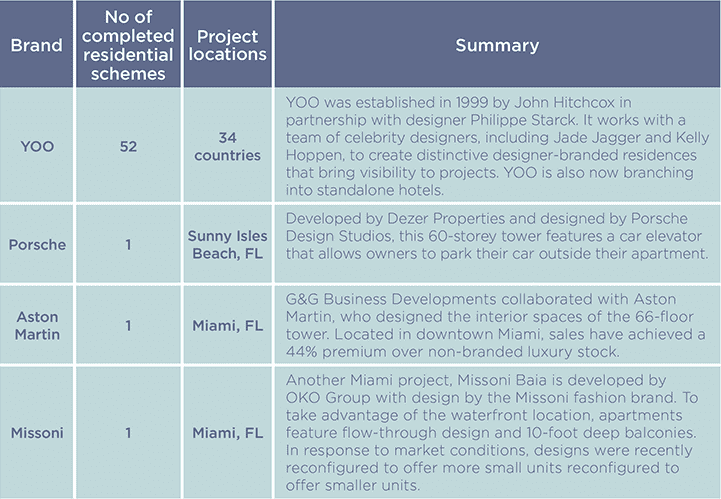 The largest individual brand by number of schemes is not a hotelier, but YOO, a brand built on design credentials. Marriott International’s Ritz-Carlton is second, followed by Four Seasons (see charts below). In terms of global distribution, the US is the biggest single country market, home to 32% of schemes (130). Asia Pacific hosts 30% of schemes (120), of which China is the single biggest market with 7% of schemes (30). Europe, just ahead of MENA, represents 13% of the market (51 schemes). 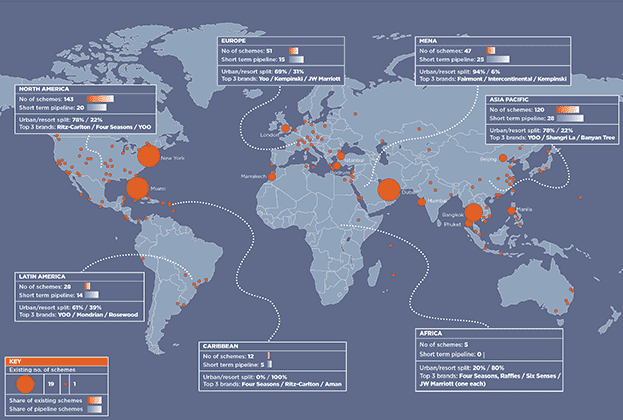 New York, Miami, Dubai and Bangkok are the biggest city markets, all with at least 15 projects. Branded residences are commonly located in either urban cores or resorts (74% and 26% respectively), and in either environment the development is usually situated in a prime location. 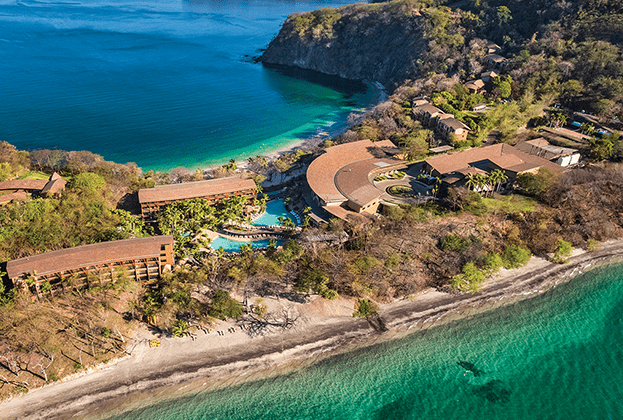 While hotel brands dominate the sector, other aspirational brands are operational too, ranging from luxury cars and fashion houses to celebrity designers. 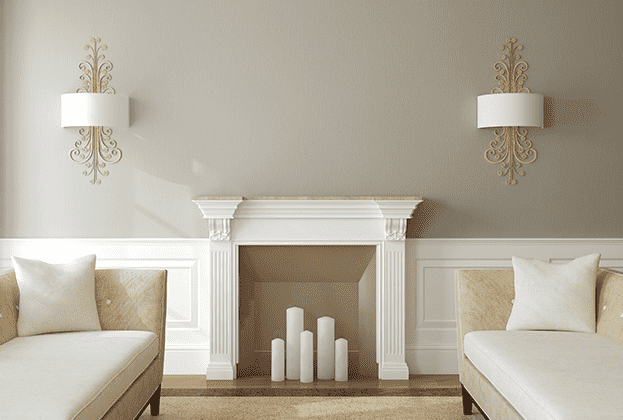 Residential developments under these brands benefit from association with a luxury product or designer. Miami has been a hotbed of innovation in this area, host to a wider range of non-hotel branded projects than any other city.